SD822Z, SD83x, SS822Z, SS823 and SS832 is a range of space saving power supplies intended for the AC 800M, AC 800M-eA, S800 I/O and S800-eA I/O product lines. 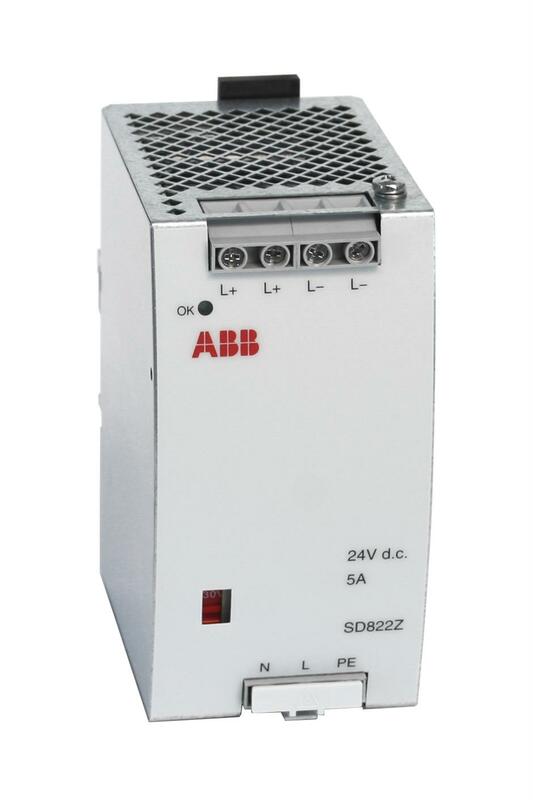 Output current can be selected in the range of 3-20 A and the input range is wide. Relevant voters for redundant configurations are available. The range also supports power supply configurations of the AC 800M and S800 I/O based IEC 61508-SIL2 and SIL3 rated solutions. A Mains Breaker Kit for DIN Rail is also available for our power supplies and voters. Mains/input voltage, nominal 115/230 V a.c. 225-250 V d.c.
Mains frequency 138/275 V a.c. 375 V d.c.